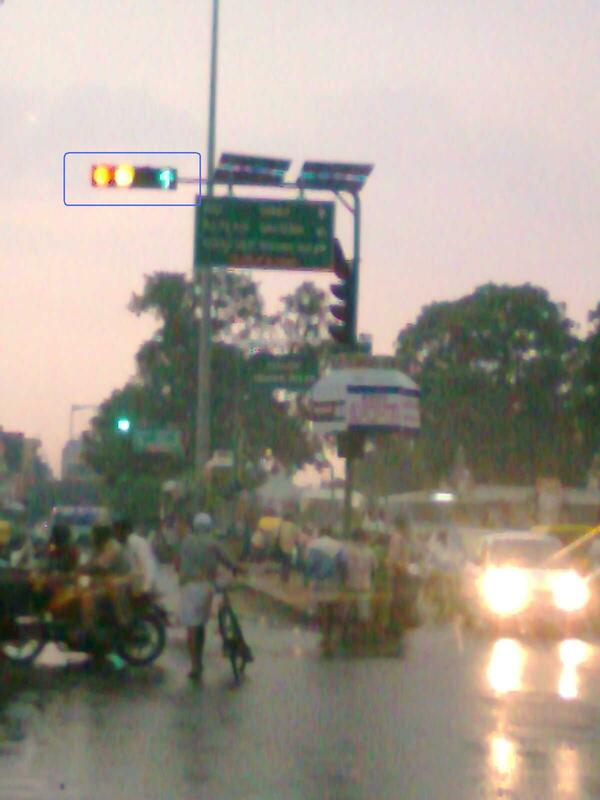 Ever seen all the three traffic lights glowing at a time? Confused what to do? What would you do? Please comment. Shot at Banashankari Bus Terminus on 14th April during heavy evening rain from my mobile phone. in Banshankari bus stand, that's pretty valid.. not the poor signal's fault if its confused at all the chaos around..